When you log into Google Ads and click Campaigns from the left nav, you’ll be greeted by an inviting blue plus sign (very ‘appy’). Once clicked you’ll choose between creating a new campaign or loading another campaign’s settings, and off you go. When you create a new campaign, you’ll notice a huge difference between AdWords and the new Google Ads: there’s a new campaign creation tool that is entirely goal-driven. Though there’s still an option to create a new vanilla campaign without using being goal-focused, you can tell that Google put goals front and center, and for good reason: goals are how we measure the performance of campaigns as advertisers, and allow us to make educated decisions on where to shift marketing budget. Each of the goal types are relatively self-explanatory, from driving sales to app promotion. When you hover over each goal you’ll notice that the campaign type that’s associated with that goal is displayed. For instance, the website traffic goal is available for search, display, video and shopping campaigns, as each of these drive traffic to an advertiser’s website. The two goals associated with brand are only available for display and video campaigns, which makes sense given that brand-building campaigns typically run across the display network, rather than the search network which is the domain of direct response campaigns. Cool huh? After clicking into the goal type, you then choose between different campaign types and are then greeted with a few different options depending on the goal type. For this example we’re going to create a Sales-focused campaign, on the Search network, and can now select how we want our goal to be measured. We’ve selected our goal and campaign types and are now off to the races. The next screen should look familiar – it’s fairly similar to the previous Settings screen in AdWords. 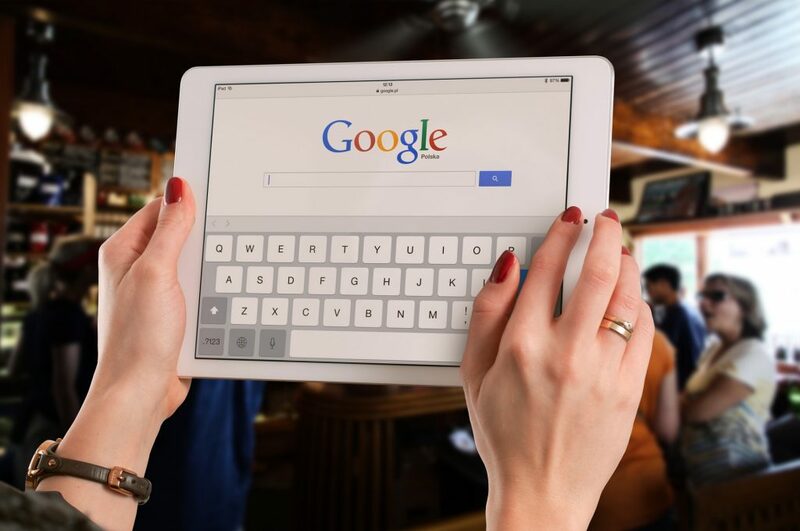 However, in the new Google Ads experience a few things may stand out, including the front and center Dynamic Search Ads feature, which was previously buried in the settings. We’ll cover this in a separate post, but in a nutshell Dynamic Search Ads involves leveraging Google Ads technology to cobble together the appropriate landing page and ad headline, based on the user’s search query. Further, you’ll notice that bidding options are more straightforward, easier and tailored to the previously-selected goal type. For example, since we’re creating a Sales campaign here, the bid strategy drop-down defaults to conversions. Unlike the bad old days where an advertiser needed 15 conversions during a 30 day window to opt into CPA bidding, we can now select conversion bid strategies right from the get-go, including conversions and conversion value. Clicking on Select a Bid Strategy Directly reveals all the bid strategies available to us, most of which have some level of automation. You’ll notice the old favorites Target CPA, Enhanced CPC bidding and Manual CPC, and may also meet some new friends such as the sneaky Target Outranking Share. After optionally creating site links we enter the familiar workflow of setting up ad groups (standard or dynamic depending on whether or not we opted into Dynamic Search Ads) and ads (text ads in the case of our Search campaign), and are then greeted with a nice little overview screen prior to pulling the trigger. With all those cheery bright blue checkmarks and buttons along the way we’re definitely encouraged to jump right in. All of these sections of the Overview report link into the section of Google Ads they correspond to, and have drop down menus for drilling further into the reports or seeing different data associated with them. By clicking the three vertical dots on the top right corner of each report you can tell Google whether or not the information was useful. You can tell Google put a lot into these reports and wants feedback from us advertisers on whether or not we like them. I think it goes without saying that they’re a pretty big hit with the Stikky team. We’ve covered account creation and reporting, so lastly we’ll get into optimization. As you’ve probably noticed, the new Google Ads experience really leverages automation, from the automated bid strategies to the automated reporting. Much like the previous Google AdWords interface, we’ve got Google’s own automated recommendations for reporting. 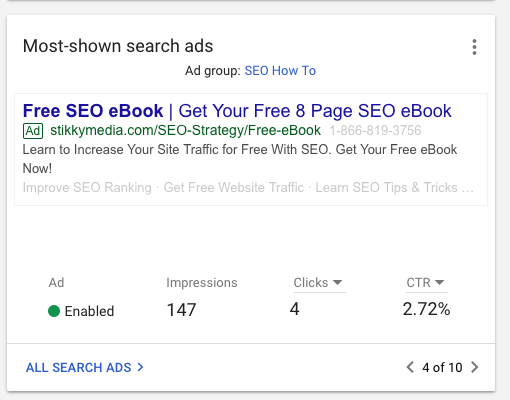 Though the new Google Ads Recommendations may not be much different from the old, it is much more visually exciting, as with the Overview reports. If you haven’t used Google’s recommendations now’s the time to take a look. We won’t get into each and every recommendation as they are very straightforward, but there are a few things we can mention in general. You’ll notice that they’re laid out in two columns featuring the same pleasing blue calls to action and links as we’ve seen throughout the rest of the interface, with plenty of breathing room to avoid looking cluttered. The recommendations themselves, such as adding keywords, can be applied directly from the Recommendations landing page, or dismissed or exported from the three vertical dots at the top. Clicking into Viewing the recommendations plunges us deep into Google’s automated suggestions. For instance, Google Ads thinks that one of our ad groups is getting too broad, and has a recommendation for splitting it up into two separate ad groups. When I click further I can see how they’ve divvied up the keywords, and I can click further from there and actual select keywords and ads for a new prospective ad group. Very streamlined. Google Ads clearly wants to make our job easier in creating campaigns, ad groups and ads, and has given us multiple places to do so. If you haven’t gotten time to play around in the new Google Ads interface yet, or have simply been too shy to create your first campaign, you’ll now have a pretty good idea of how to create a campaign, view reports and even optimize. The new Google Ads experience is definitely more streamlined than the previous AdWords interface and we’re definitely looking forward to any new features Google might roll out. It can be hard keeping up with the changes to Google AdWords and getting the most out of pay-per click campaigns. If you want to augment your existing team or even just let our experts do the work, learn more about our paid search advertising services.